Modern theologians have focused on the doctrine of divine impassibility, exploring the significance of God’s emotional experience and most especially the question of divine suffering. Professor Rob Lister speaks into the issue, outlining the history of the doctrine in the views of influential figures such as Augustine, Aquinas, and Luther, while carefully examining modernity’s growing rejection of impassibility and the subsequent evangelical response. With an eye toward holistic synthesis, this book proposes a theological model based upon fresh insights into the historical, biblical, and theological dimensions of this important doctrine. 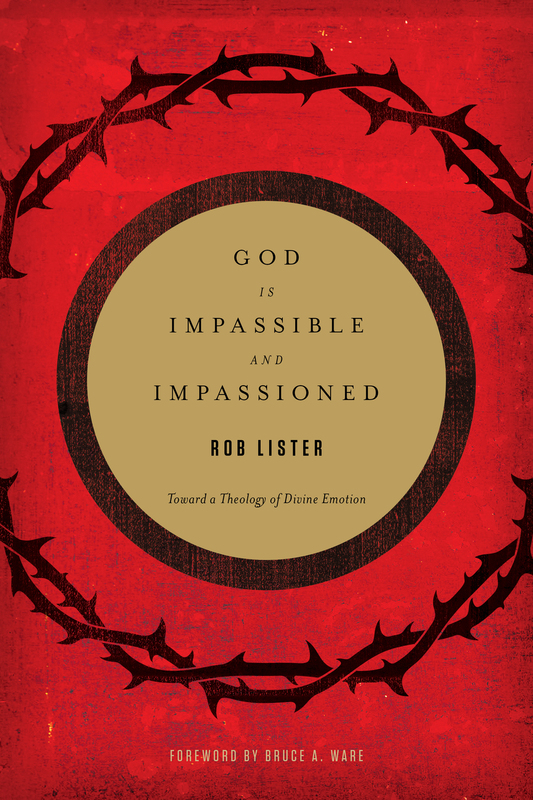 Rob Lister (PhD, The Southern Baptist Theological Seminary) is associate professor of biblical and theological studies at the Talbot School of Theology. His primary research interests include theology proper, christology, and sanctification—all of which are fused together at the hub of his book on divine impassibility. He and his wife, LuWinn, have four children.